A Ringo Starr memorabilia has raised a total of $9.2 million at Julien’s Auctions. The auction lot included more than 1,300 clothes, instruments, pieces of jewellery and other items owned by the Beatle. 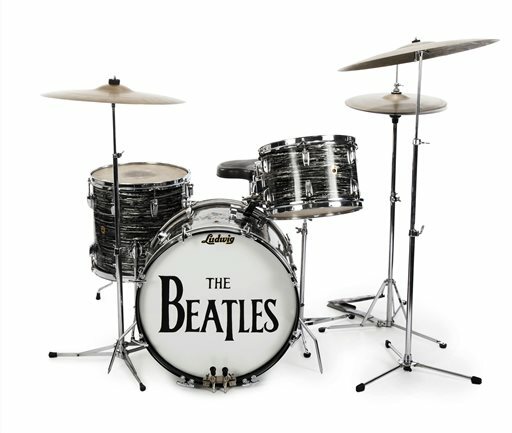 The highlight of the sale was a drum kit played by Ringo Starr on many Beatles hits, which fetched $2.1 million. A Rickenbacker guitar once owned by John Lennon made $910,000. Ringo Starr’s copy of The White Album, numbered 0000001, sold for $790,000 – which is thought to make it the most expensive record ever sold. Julien’s Auctions said it surpassed the previous world record, set when Elvis Presley’s first acetate recording sold for $300,000 earlier this year. Ringo Starr’s LP was the first mono copy of The White Album to be manufactured in the UK. It was widely known that the band members kept the first four copies, but until recently it was assumed that John Lennon had owned the first. A portion of the proceeds from the auction will go to Ringo Starr and wife Barbara Bach’s charity The Lotus Foundation, which says it aims to advance “social welfare” in a wide range of areas including substance abuse, cancer, cerebral palsy, domestic abuse and animal protection.